ATTENTION BUILDERS/INVESTORS/OR HANDY BUYERS!!! 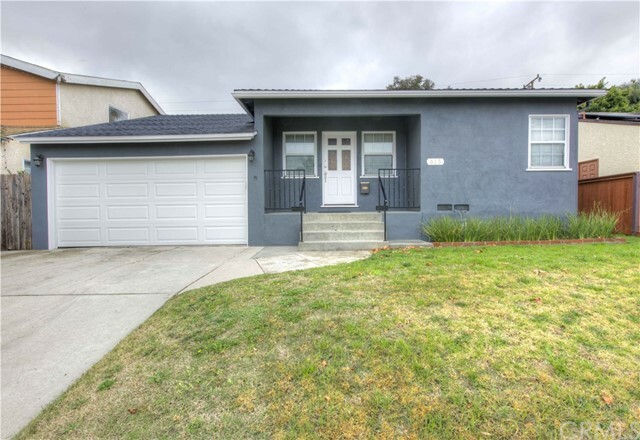 Rare opportunity for a capable buyer to obtain a 10 El Segundo location at an entry level price, and then mold this home into their dream home, or build new. Property is currently occupied and functional, but requires cosmetic work at minimum. Home has had two separate additions over the years and may require some reworking if today's modern open floor plan is desired. Property has a sizable step up back yard that is perfect for kids and pets. Schools, downtown, and parks are all walking distance from this center of town address. For the visionary remodeler buyer, many great features such as wood floors, vaulted ceilings, and a fireplace are all here to be utilized. Homes in great locations don't come along every day in this town, so come get it while you can! © 2019. The multiple listing data appearing on this website, or contained in reports produced therefrom, is owned and copyrighted by Multi-Regional Multiple Listing Service, Inc. ("MRMLS") and is protected by all applicable copyright laws. Information provided is for viewer's personal, non-commercial use and may not be used for any purpose other than to identify prospective properties the viewer may be interested in purchasing. All listing data, including but not limited to square footage and lot size is believed to be accurate, but the listing Agent, listing Broker and MRMLS and its affiliates do not warrant or guarantee such accuracy. The viewer should independently verify the listed data prior to making any decisions based on such information by personal inspection and/or contacting a real estate professional. Listing courtesy of Shane Falkenstein from Beach City Brokers . Last updated Tuesday, April 23rd, 2019.